Social Media is for Promoting Your Content. If you’ve been following our series on how to turn your website into a money-making proposition, you now have a working website, you’ve published great content, and you have optimized your content for the search engines so your content can be found. Now comes the hard part – promoting your content so people will see it, read it, become engaged with it, and visit your website for more information – so they can call you or fill out a quote form about their issue or problem. Social media is the Number One best place for promoting your content. As soon as your website is up and running, set up your social media accounts. The top places are Facebook, Twitter, Linkedin and Instagram. There are others, but these are top ones. Set up these accounts and take them seriously. Post every day. Research shows that companies that blog 15 times or more every month receive 4 times more leads than companies who blog fewer than 15 times per month. Blogging that often? How do I do that? What do I have to do on social media to attract visitors to my website? 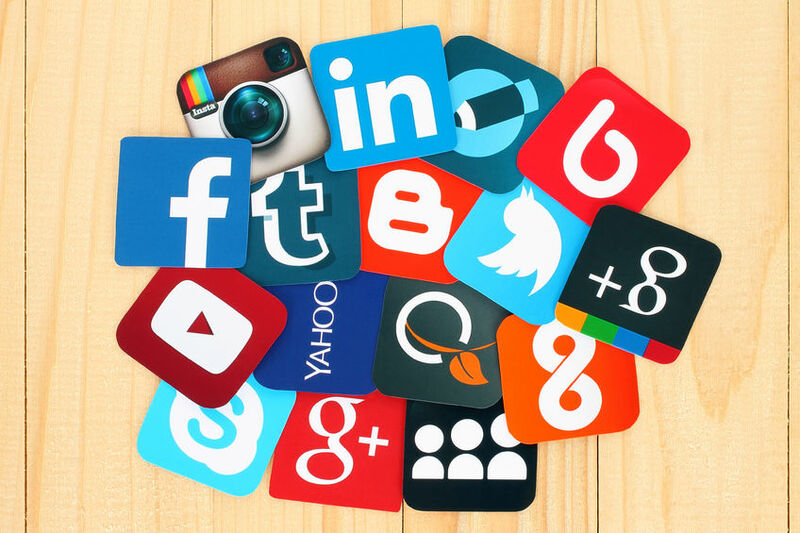 Here are some suggestions on how to attract visitors through social media. You can do some or all of these things – all of them will drive traffic to your website and will get your content seen. After, that. It’s up to you. Every time you publish a new blog post, place a link to it in all your social media accounts. Use bitly to track where your clicks come from. Social media is the best way to drive traffic to your blog. There are a million other blogs on the Internet. After you’ve linked your readers to your latest post, you can link them to any other blog you find of interest. These blogs can be about your industry — plumbing, HVAC, pest control, carpet cleaning — or it can be about anything of interest to your readers – people who overcame handicaps or fatal illnesses, how to make a marriage succeed or be a good parent, or anything that will be of interest to your readers. Remember to be relevant: if your target audience is baby-boomers, you don’t want to link them to blogs about skateboarding or extreme mountain biking. Plumbers can ask readers if they use low-flow toilets, electricians ask if readers use Energy Star electrical appliances. Go to blogs, public forums, and Do-It-Yourself sites, and answer questions. Establish yourself as an authority in your field. Join LinkedIn professional groups – ask and answer questions. Get that green star for providing the best answer to a posted question on a professional group, and watch your phone ring. Nominate a Hero of the Week. The Internet is full of stories about people doing incredible things. Nominate one of these as Hero of the Week. Can be the guy who pulled the injured motorcyclist from under the burning car, the man who rescued the dog trapped in the icy lake, the lady who rescues and raises farm animals from slaughterhouses, the philanthropist who’s building schools in the Third World, or the politician who just pushed through a bill to end homelessness. Every time you do a big job, shoot a video of your techs at work. People love seeing experienced people working with sophisticated equipment. If you are a plumber, post videos showing your guys replacing a sewer line using trenchless technology or clearing the main line with a Hydrojet machine. If you are an electrician, post videos of how you replace fuses or test circuit breakers. Or post a link to a video on YouTube. There are millions of videos on the Internet which you may not own but you can link to. There’s everything from videos of men at work to videos of pigs doing jigsaw puzzles. 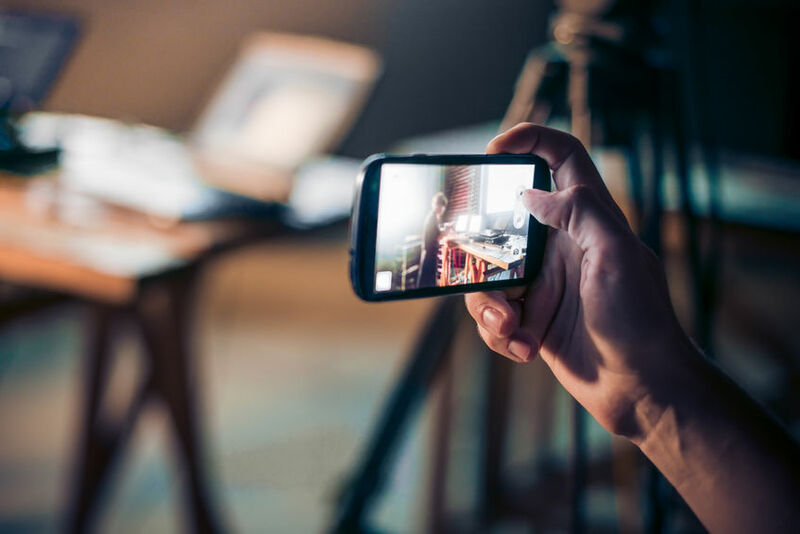 Social media posts with a video attract a far greater rate of engagement than posts without a video. Again, you can post pictures of your field technicians doing their work. Or you can share any picture of the millions on the Internet. Posts with pictures get far more engagement than posts without pictures. And pictures of cute babies and cute animals fare the best. Infographics are a very cool way to combine text and images. You can use infographics to teach, inform, entertain or amuse your readers. If you can’t draw, there are many places where you can get templates to make your job easier. People love polls and surveys — they get a chance to express their opinions about what they think. If you’re a plumber, ask your readers if they use low-flow toilets or if they have a water-purification system installed in their home. If you’re an electrician, ask your readers if they use Energy Star appliances or if they use low-wattage light bulbs. They will tell you. And you can use that information to get back to qualified prospects. There are millions of great cartoons on the Internet. Share one a day. Avoid politics and religion, and avoid offending minorities. People love reading stories that inspire them. Perhaps you or your staff have an inspiring story. Or find an inspiring story on the Internet and share it. Some social media platforms allow you to raise funds for one of their approved charities. Integrate these charity fundraisers into your social media marketing. For example, you could offer to make a donation to the Red Cross (or whoever is your designated charity) for each Like, Share or Retweet. Spread the word about the good work people are doing to promote good in your community. Stay away from politics and religion, but most people like to hear about people working to solve the homeless problem or to rescue orphans or animals. Teaching people how to do things themselves always gets a lot of attention. Plumbers can teach their readers how to change a washer or a faucet or how to unclog a sink or a drain; electricians can teach people how to change a fuse or how to test a circuit breaker. Once your blog is up and running, invite readers to submit their own posts for possible inclusion in your blog. Always reserve the right to vet all submitted posts before publishing them. And if you can, also try and get to be a guest blogger on other people’s blogs. Each blog you post is another backlink, and that’s what SEO is all about. You can post public comments to most of the many blogs out there. Most comments also allow you to post a link back to your site/blog. There we go with the backlinks again. You may not have any celebrities in your company or in your family, but there’s always a chance to meet celebrities in your field of business as you go about your year, especially at industry events, conferences and tradeshows. There are always books coming out about every subject. If a new book comes out about your field, review it for your readers. Even if it’s not in your field, there are always good new books coming out that interest people – how to succeed in business, how to be a good parent, how to be a good listener, etc. If you can’t write book reviews, just link to a good review on Amazon — the authors will love you for that. If you’re a movie fan, review each movie as you see it. With Netflix, you can access almost every movie made. Whenever you stream a movie, review it and post your review. People trust product reviews from peers far more than they trust the media and the manufacturers of those products for good reviews. You can review products you use in your business or things you have bought for your home or for your car or for your kids. When you come across a good product and have used it enough, review the product and show people the right way to use it. A meaningful quote always gets attention. Google the name of any comedian, politician or philosopher or author, and you will find tons of their quotes. Always acknowledge the source of any quotes or sayings. Help your readers by creating lists of useful resources. These can be government links, commercial links or private ones. Ideas for lists, depending on your line of business, could be: Ways to unclog a drain or toilet without a plunger; home appliances that could save you money if you switched to Energy Star; ten ways to reduce your water consumption at home, and so on. People love lists. If you find breaking news, be among the first to share it. Don’t try and compete with CNN – they’ll probably hear the news before you do. But if there’s some news that’s of particular interest to your industry, go ahead and help publicize it. Once you’ve been in business for a while, you will have some case studies of how you successfully tackled and solved difficult or challenging assignments. Write up these case studies. Teach others how they can do better in their business by learning from what you did. Microwave ovens are dangerous; Eating bananas after they’ve turned brown is bad for you. There are many myths out there: bust a few maths and get some attention for yourself and your business. Everybody loves nostalgia. There are several Today in History sites, including specialty sites like Today in Music History, Today in Military History, and so on. Every day you can choose to celebrate a huge number of anniversaries of events, births, deaths, landmark historic events and so on. Then there are also items like Today in Plumbing History, or whatever your industry is. Not all your readers cook, but they all eat. Publish great recipes and maybe more people will be inspired to start cooking. Publish a list of the Top 10 Mistakes made by plumbers/electricians/appliance installers. Always show thanks – it shows good breeding. Every day you can find someone to thank — an employee, a friend, a stranger, a famous person who just did an act of philanthropy, a brave person who just rescued two kids and three pets from a burning house, etc. People always like to be advised of interesting new people to follow. When you find interesting/influential followers, tell your audience to follow those people too. Every day someone has a birthday. Post birthday wishes for everyone from your staff, your business associates, to famous people in your industry – eg. Today would be the 135th birthday of Al Moen, the man who invented the single-handle hot-cold water faucet and whose faucet manufacturing company still bears his name. A lot of consumer products are dangerous in the wrong hands. Publish regular consumer product safety alerts throughout the year. During the Holiday season, show people how to use tree lights and extension cords without risking a fire; during Thanksgiving, do a consumer alert to the dangers of immersing a frozen turkey into boiling oil; as the summer pool season begins, do a blog post about swimming pool safety for parents. Almost every week, a food or a medication or a car or a consumer electronics product is recalled. Be among the first to spread the news, and alerting people to the danger. Post batch numbers and any product codes which will help identify the damaged/recalled product/s. Ask people to share this information with everyone they know. If you’re a plumbing company, develop a plumbing quiz for homeowners; if you’re an electrician, develop an electrical quiz for homeowners; if you’re in the pest control business, develop a quiz about pest control for your readers. People love quizzes. If you can offer prizes, you will get more entries. Create a glossary of terms in your field of expertise – Plumbing terms, Electrical terms, HVAC terms etc. Explain complex terms in simple English. You can give it away for free in exchange for the reader giving you his/her email address. This is one of the best ways to build your mailing list — and your mailing list is your biggest asset. You can sell it. Amazon allows you to sell electronic book downloads for as little as $2.00. You get $1.00 and Amazon gets $1.00 for each download. Because Amazon is your partner in this, they have an interest in promoting your eBook. Some businesses make a lot of money selling eBooks. Every industry has its major annual trade show / conference once a year. And there are several additional regional shows for each industry during the year. Attend all the shows in your industry that you can. If you don’t have a booth, register as an attendee and walk the show. At the end of each day, post a summary of the cool things seen at the show that day. Include pictures, video, audio or anything else that gets attention. If you sell water heaters or solar panels or water filtration systems or whatever, create a webinar on how to install a water heater, or why to install solar panels in your home, or how to choose the right water filtration system for your home. Invite your readers to register. Keep everything free. Nearly every day a famous person dies. It can be a major celebrity in entertainment, sports, politics, literature, the arts, or a civic leader. Or maybe that person was a celebrity in your line of business. Write a short obituary about that person. You can get the latest biographical information about any famous person from Wikipedia — and you’ll be surprised how quickly Wikipedia biographies are updated to reflect the latest developments. Every day is the anniversary of the birth or death of some famous person. Sites like Today in History will tell you who was born or who died on every day of the year, going back to ancient times. Nothing shows you to be an expert like a white paper. A white paper is the latest information about the state of a particular industry, product or service. Publishing a white paper establishes you as an authority in your industry / niche. Research is the key to any business. As you discover new studies, facts or information about your industry, publish these facts on your blog and promote them through your social media accounts. Presenting the latest information about your industry establishes you as a leader in your field. Every day we see examples of excellence. It can be at work, in our personal lives, or in the community in general. Compliment people who you see doing good things or behaving in good ways. As you proceed with your social media program, follow the above guidelines and you will have more than enough material to post. The key to social media is engagement: if no-one responds to your social media posts, you are not going to attract traffic to your website. Create lists – separate your readers into groups that might include: current customers, previous customers, potential customers, etc. Avoid Politics & Religion – these two topics will please half your readers and annoy or alienate the other half. You’ll never win. Promote Your Posts – the social media platforms all allow you to promote any post. If a Facebook post gets you 100 impressions without promotion, for a small fee (say $5.00) you can get the post seen by another 1,000 people. It’s worth it. Blogging can only succeed with good social media promotion. And blogging success takes time. You have to gain followers and build a reputation as a provider of material which is either informative or entertaining — or preferably both. And it takes time to build a following in social media. Social media and blogging are taken seriously by Google, and are used by Google to determine how they rank your site. If you have 10,000 followers and your blog every day, you can be sure that you will be listed on Google’s search results ahead of a competitor of yours who only has 1,000 followers and only blogs once a week. Your social media posts should have links back to your blog post. But be careful not to spam. Publish four consecutive social media posts with a link, then for the fifth post don’t put in a link, or you will be suspected of spamming. Every fifth post should be a simple one – a quote from Einstein or the mayor of your town – and should not contain a link. If you follow these guidelines, you will be able to get your content seen on social media. This will drive traffic to your website. Now it’s up to you to convert those visitors into paying customers.